I am an avid moviegoer, i mean I used to be. During my college days, my girlfriends and I would sometimes cut class just to catch the last full show. I miss those crazy and yet fun times with my forever Bff. When I got here, I still watch movies with Mom or with some friends from work. When there's no one available to be with me, I watch alone. Tickets here are quite expensive but for me, nothing compares to the sound effect heard on cinemas, it makes any movie more fantastic and entertaining. Anyway, eventually, I found a movie buddy when I met my honeyb who wasn't really much of a movie goer ---can't he say NO to me?! I can't remember how many movies we already watched together. Even when I got pregnant, we still go out for last full shows almost every friday (when there's a good movie showing) Friday is Couple's Day, cheaper tickets for couples. 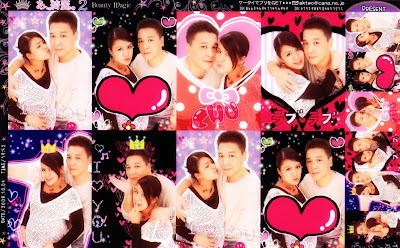 This is our last Purikura taken on our last movie date together. We usually go to Amusement Game Centers before/after the movie to take Purikura Shots. I was 40 weeks pregnant. Just 4 days before I gave birth. OH I miss my movie buddy =( Things have changed. We prefer to rent DVD and watch at home because of our lil Patootee..
Wow, kaya pala ang ang ganda ni Anzy kasi kahit due date mo na blooming ka pa rin hehehe. Ako di masyadong movie goer but hubby is then, ngayon iba na rin kasi may dalawang junakis na.. Sa bahay na lang kami nanonood saka mahal din a movie ticket eh lol.. Yay, early bird ka ah hehehe. bakit walang ganyan dito sa Pinas, walang promo for the couple, swapang talaga yung mga negosyante dito..heheheh... awww, that;s sweet bambie dear .... although I'm updated with the new movies, we often watch it at home, .. kuripot! hahahah! supportive talaga si hubby kahit sa panonood mo ng movie. I can totally relate. I lost track of the movies we missed since Peaches was born.Plus Dvds are cheaper. I also was a movie fan. When I was younger I use to go all the time. Now every once in awhile I go with my grandson.Life moves on so fast and is ever changing. When you get married there are a lot of changes. When the first baby is born then your whole life changes drastically. Now you are responsible for another life. Of course it is well worth it. Because along with all the responsibility also comes all the love. And Love is what makes this world so great. things changed indeed. we used to watch a lot of movies too pero when Andrea came i think since then once lang kami nakapanood ng sine... we do rent a lot of dvds. we usually watch 1 movie a night or every other night. di bale mami bams... it is worth it naman diba? 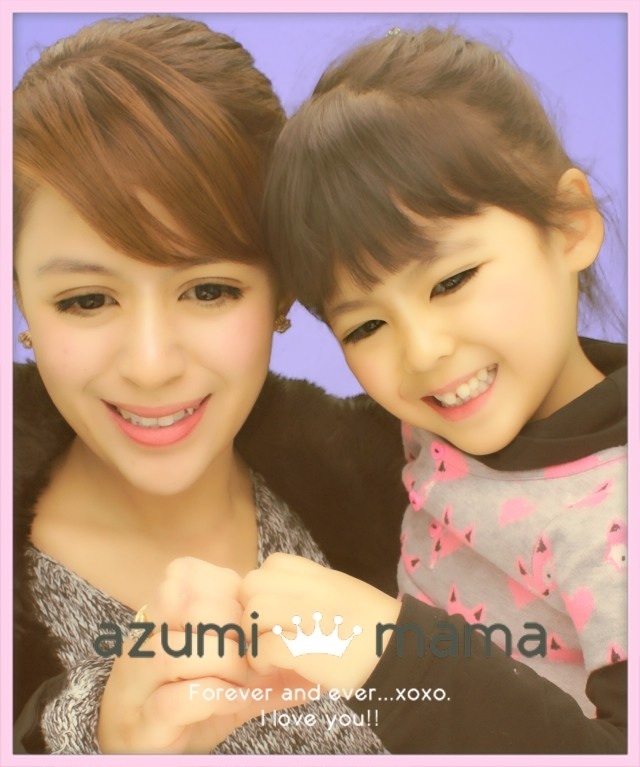 and cute ng purikura shots nyo sis! Please check out Our Funny Wedding story. I'm not with cinema's but I go sometimes with friends. I preferred watching movie at home lying in bed and hugging my pillow LOL! Your picture with your hubby is so romantic. Yes, your lifestyle have changed now because of Anzu. She's now the center of your universe, lol. But you can still watch movies by your twosome once in a while. In the meantime you have to make do with renting or buying DVD's for your home viewing with the apple of your eyes, lol. In the Phils, it's cheaper to buy pirated DVDs than to rent one, lol. Thanks for the homey post. God bless you all always. Kumusta asng magagandang dilag sa Japan. my husband and I are movie fans but like you we prefer to watch at home because of our girl. pretty ka pa rin mommy kahit manganganak ka na. and I love the word Patootee.it's cute! yeah napaka-mura ng sinehan nun.. If i can remember, 50 pesos pa yata nung highschool.. mga private cinemas, ngayon nasa mga malls na lang..
na-shock din ako nung first time ko manood ng sine dito, hay nako nakakapang hinayang kaya nga lagi ako palibre sa mama ko eh. MOvie tickets these day are quite expensive, so impractical for me to spend =) Thanks for your lovely message, I so much agree with you. worth it talaga.. nakakatamad na rin manood ng sine. Wait na lang ang release sa dvd dba, mas tipid pa.